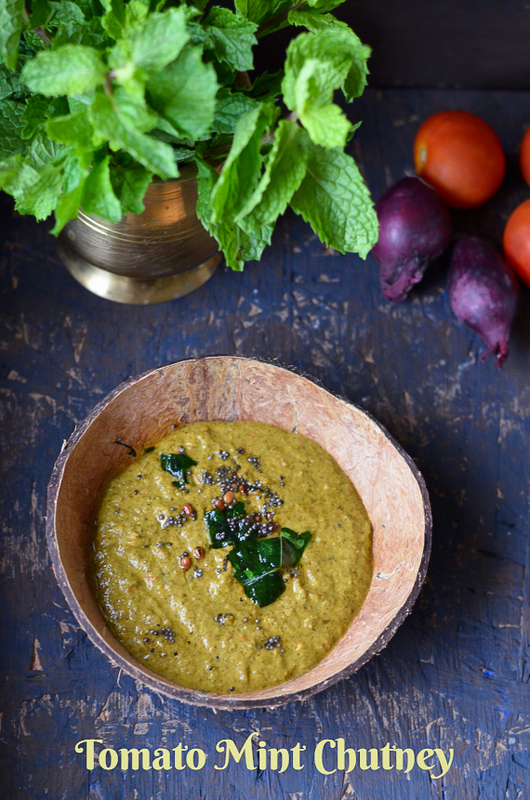 As my family likes the mint flavor,I try to make different varieties of chutney out of mint.One such try was this mint chutney and it pairs very well with idly and dosa.Also its a great spread for bread to make sandwiches. This is a simple,easy to make chutney and need only 20 minutes for the entire process.Addition of urad dhal and channa dhal gives a nice creamy texture to the chutney. Clean the mint and coriander leaves in water for couple of times and set it aside. Heat a pan with 2 tsp of oil and to tis add the urad dhal and channa dhal,fry it until golden.Add in the green chillies,chopped shallots and give it a mix. Now add in the chopped tomato,tamarind and cook it till the tomatoes are soft.at this stage add in the coriander and mint leaves. Cook it until the leaves wilt.Put off the flame and let it cool down.Now blend it in a blender to a fine paste and transfer it to a bowl.Now heat a pan with a tsp of and do the tempering and add it to the chutney.Mix it well. Chutney is very creamy and love such chutneys which can be used as spreads as well. I love this combination very much as much as like tomato coriander combo in chutneys, cute presentation with coconut shell. I love mint and this combination is very tempting. 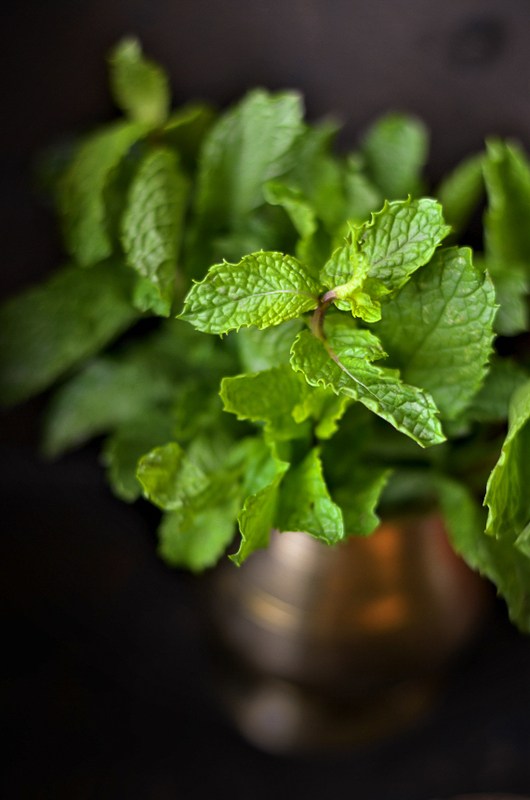 Mint is one of my fav and I use it regularly in making chutney. This version with dals and tomatoes sounds absolutely yum.. I really like the idea of this chutney - just all the flavors you put into it is one I really want to try! 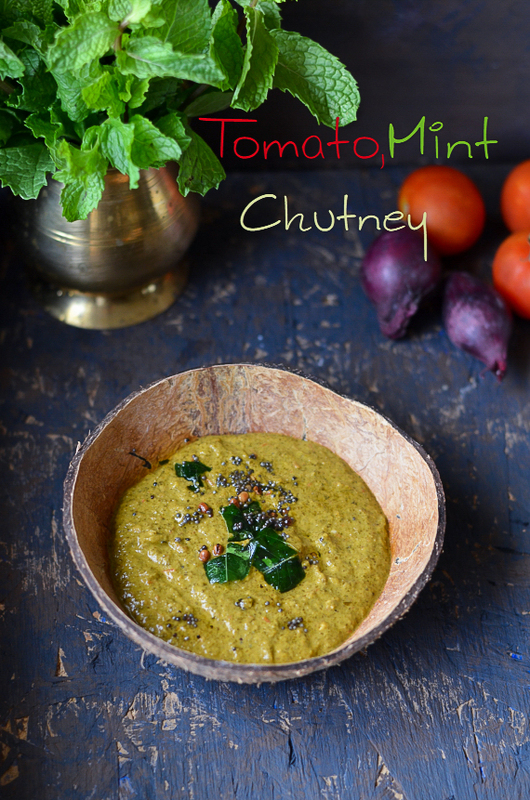 Quick and easy to make mint tomato chutney. 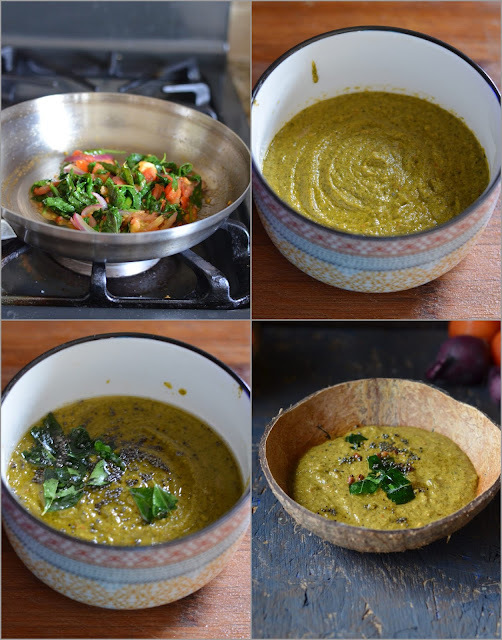 Lovely clicks and yummy recipe. 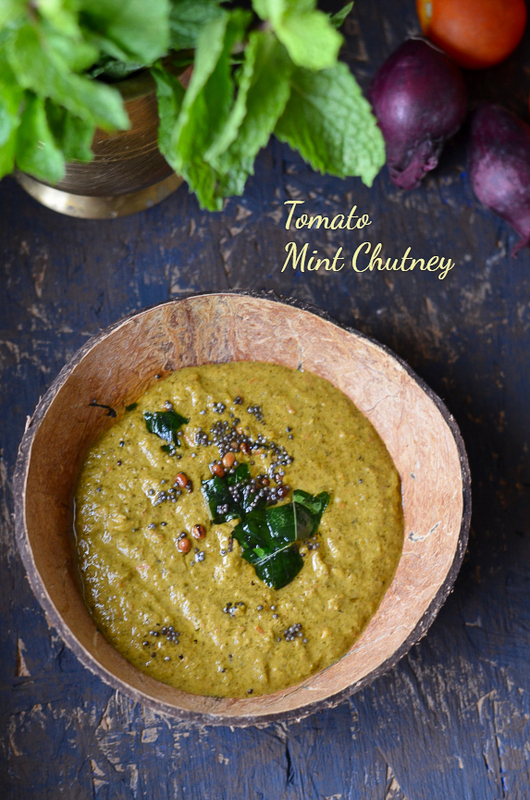 This is one of my favorite chutney with the mix of mint, cilantro and tomato. My kids love tomato chutney and they often ask me to make it. 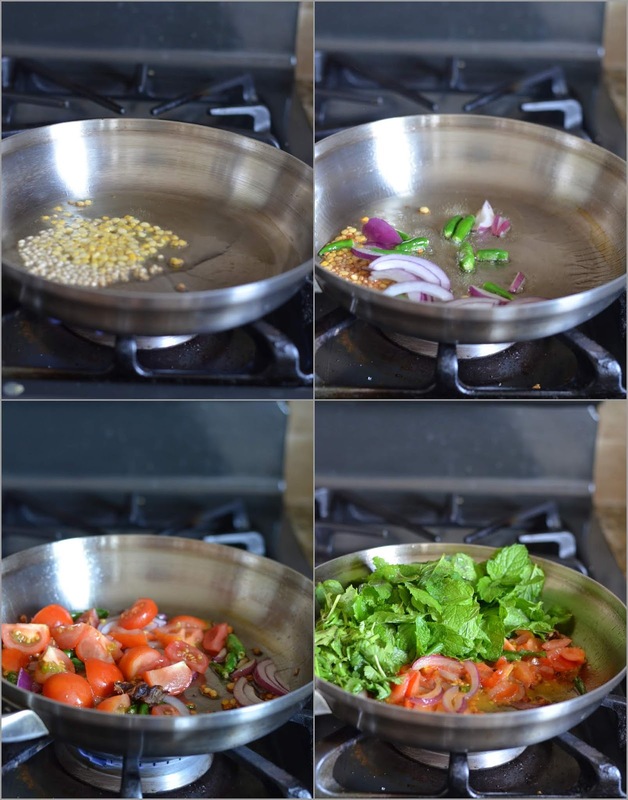 I add the greens to make it extra flavorful :) Looks awesome Nalini! Its been a while i make mint and tomato chutney. Your dish looks so delicious. What a lovely combination and the picture is so well taken. I don't remember if I have used this combination of mint and tomato will surely check out..